Component 1: A patented garage door track design that shifts the door forward into the ThermoTraks seal to eliminate outdoor light and unwanted air infiltration. The Only Thermally Sealing Sectional Garage Door System. 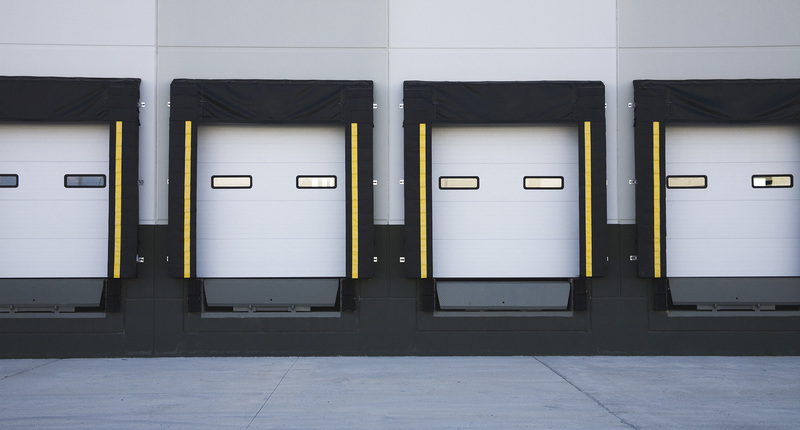 ThermoTraks is the only product on the market that thermally seals a sectional overhead door. Typical sectional doors have an air gap around the perimeter of the door allowing them to operate without binding. ThermoTraks does not bind, yet it continuously seals out cold, heat, moisture, dirt and pests. ThermoTraks works by creating a positive seal between the sectional garage door and the garage door frame just like the seal created around your home’s front entry door. 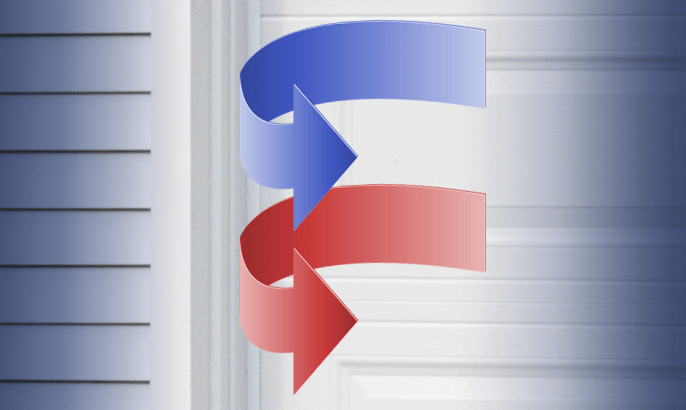 This seal eliminates air movement around the edges of the garage door that occurs with standard garage door installations. 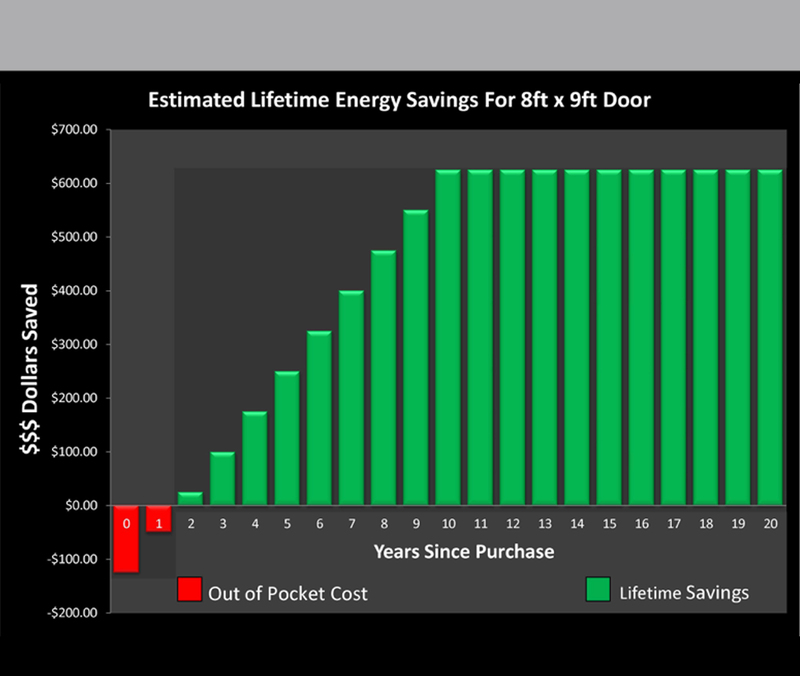 By dramatically reducing air infiltration, Xcel Energy has determined that ThermoTraks sealing system saves $132 in annual energy cost compared to normal doors with air gaps. Component 2: Patent pending seal technology that creates a positive seal between the face of a garage door and the garage jamb eliminating undesirable air flow. Keeps garages warmer in winter and cooler in summer. Seals out moisture. Eliminates unwanted air infiltration keeping out wind-driven dirt, rain, and snow. Maintains an even garage temperature. Providing a barrier that keeps pests out; making your garage a more people-friendly environment. 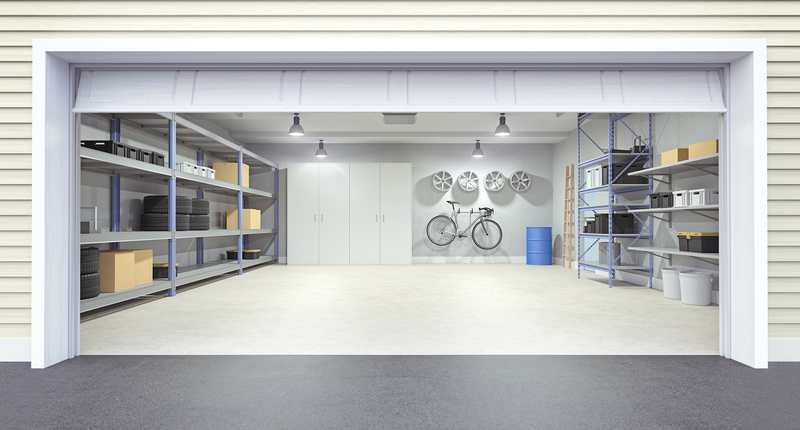 A great way to save energy and add comfort to every climate-controlled garage. Maintain tools, appliances, bikes and other garage items at a more even temperature and humidity level. 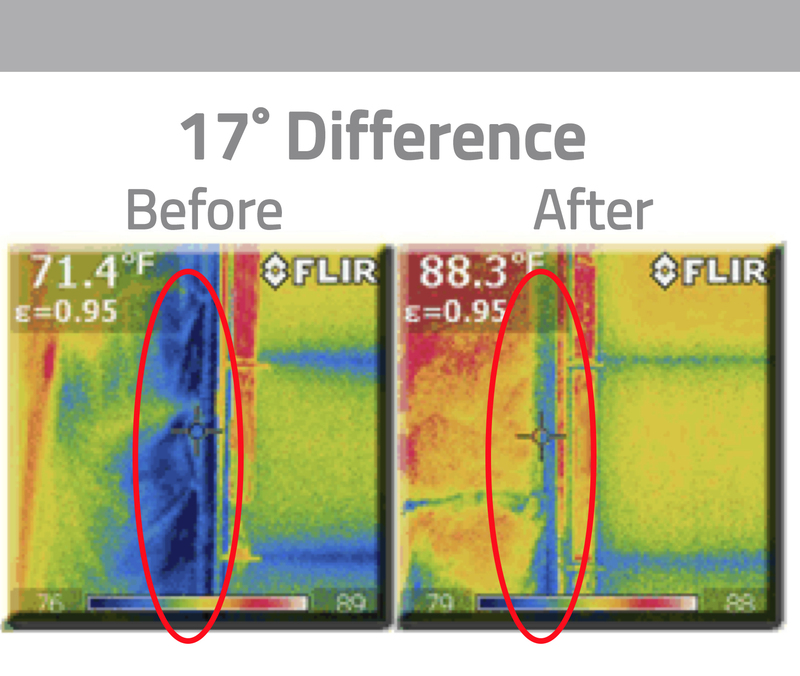 Positive sealing saves energy. The only product that thermally seals overhead doors. A USDA-compliant solution for refrigerated warehouses. ThermoTraks keeps residential garages warmer in winter and cooler in summer.